In this New Year’s Instagram Trunk Show, I’m modelling a tunic from Pierre Cardin’s Cosmocorps Collection from 1967. 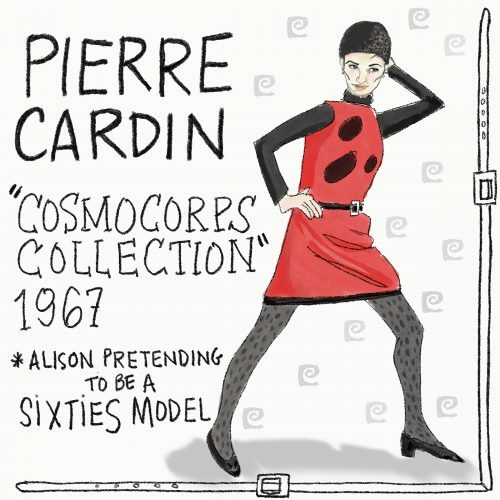 Monsieur Cardin turns 96 this July. I hope he still gets a charge from a needle pulling thread like I do from his space age designs and those kooky sixties model poses.